The phrase money laundering refers to any situation in which money made from an unlawful transaction is filtered through a financial institution to hide the source of the profits. If you are under investigation for this charge, you will need a criminal defense lawyer who is able to examine complex investigations and build a defense strategy that protects you and minimizes the harm you may suffer. At Yeretsian Law, our founder, Lara Yeretsian, has handled numerous high-profile cases over the course of her career. She is adept at handling press inquiries and protecting client privacy. She is meticulous and determined, and does not give up until she has achieved the best possible outcome for your case. How Does Money Laundering Work? What Are The Consequences? Any number of criminal activities may utilize money laundering to cover the trail of cash from their enterprise. Transactions related to illegal drug sales and prostitution or even fraudulent wire transfers made through a telemarketing outfit can fit the parameters of money laundering. Promotional money laundering, in which the purported financial transactions are aimed at furthering the underlying unlawful activity itself. Concealment money laundering, in which the alleged transaction is focused on hiding the true source of the funds. In these types of laundering charges, the government must prove the defendant either knew the source of the tainted money or actually intended to promote the unlawful activity from which the funds were derived. Prison sentences for a conviction can be as long as 35 years and the fines can be as high as $500,000 or more. In California, state-level money laundering charges can be filed either as a misdemeanor or a felony. Misdemeanor charges can carry a sentence of up to a year in jail and $1,000 in fines. Sentences and fines for felony charges are much more severe. 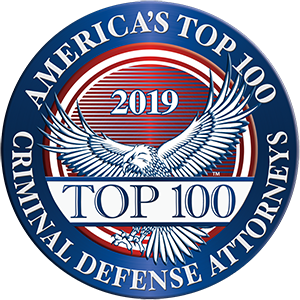 It is possible to successfully defend yourself against money laundering charges, but hiring a capable, skilled criminal defense attorney is a must. Call our firm at 818-741-1220 or email us to set up a free case consultation. We represent clients in Glendale and in greater Los Angeles.